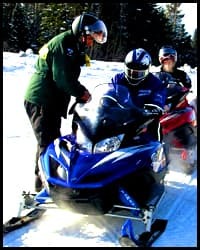 Each year, Maine Game Wardens check thousands of hunters, anglers, trappers, and recreational vehicles for compliance with fish and wildlife laws. 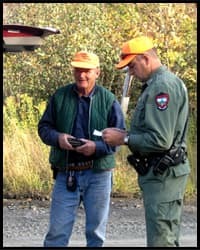 Compliance checks are opportunities for outdoor enthusiasts to have positive interactions with Wardens while in the woods and on the waters of Maine. Game Wardens are great resources – they can help explain laws, and can teach you about conditions and new outdoor opportunities in your area. 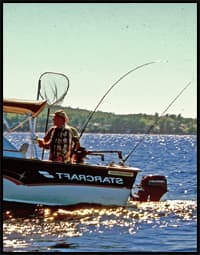 The laws Maine State Game Wardens enforce are all about preserving those opportunities – specifically, keeping people safe outdoors, protecting personal property, and conserving fish and wildlife resources for everyone to enjoy. Follow all basic firearms handling rules. Not attempt to load or unload your firearm. Point the muzzle of your firearm in a safe direction away from the approaching Game Warden. Make sure your safety is on, and keep your finger away from the trigger. Comply with all of the Game Warden's instructions. Maintain your current speed and direction, unless the patrol boat signals you to do otherwise (flashing blue lights are a signal for you to stop). Maintaining your speed and direction can help avoid contact between the vessels that could cause damage or injuries. Reel in all fishing lines on the side of your boat. Keep fingers and rod tips out of the space between the boats to prevent injury or equipment damage. Game Wardens regularly inspect ATVs, snowmobiles, and watercraft for safety and registration compliance. Wardens also stop motor vehicles at fish and wildlife checkpoints to gather statistics and enforce fish and wildlife laws, and they have authority to stop motor vehicles for violations observed on Maine's highways. As soon as safely possible, bring your vehicle to a complete stop and allow the Game Warden to approach you. Failure to stop for a Game Warden may result in criminal prosecution, significant fines, and arrest. Be courteous and follow of the Game Warden's instructions pertaining to the vehicle inspection. Your cooperation will expedite the inspection process, and they will have you back on your way as quickly as possible. State Game Wardens strongly prefer to have pleasant interactions with outdoor enthusiasts. So be polite and courteous, promptly comply with all requests as directed, and don't hesitate to ask him or her for advice or helpful tips – it's their job to be experts on the Maine outdoors, and they're happy to share their knowledge!